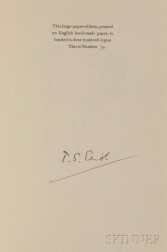 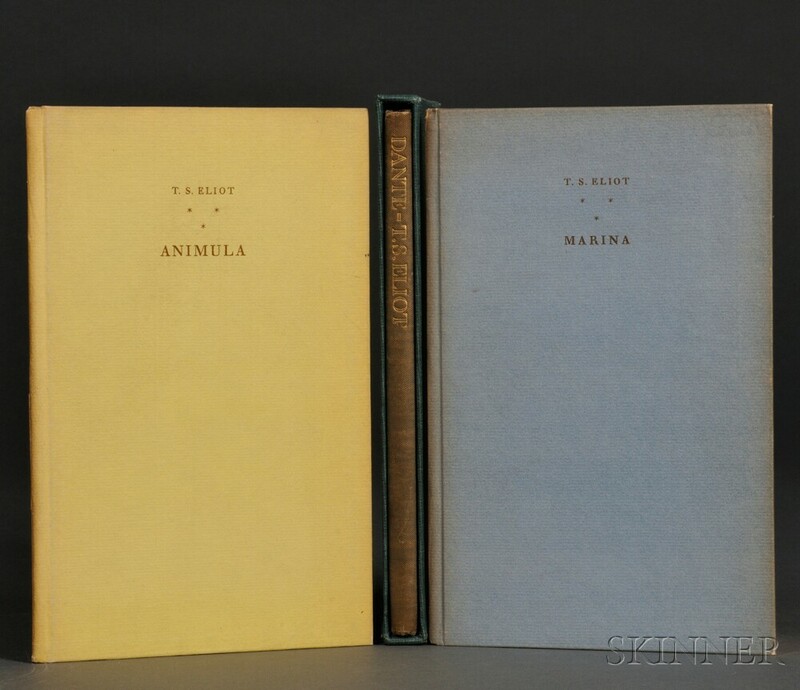 Eliot, Thomas Stearns (1888-1965) Three Signed Limited Edition Titles. 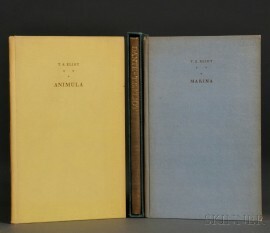 Animula, London: Faber & Faber, Ltd., 1929, illustrated with wood engravings by Gertrude Hermes, large paper edition, on English hand-made paper, number 382 of 400, signed by Eliot on the limitation page, in publisher's yellow boards, slightly sunned, minor wear, 8 1/2 x 5 1/2 in. 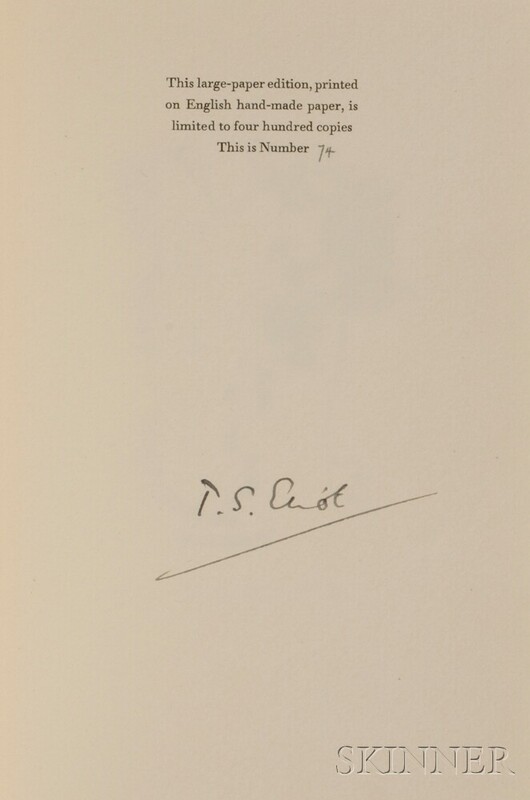 Dante, London: Faber & Faber, , copy number twenty-one from a limited edition of 125, signed by Eliot on the limitation page, in publisher's blue cloth and blue cloth slipcase, t.e.g., spine sunned, 8 1/2 x 5 1/2 in.